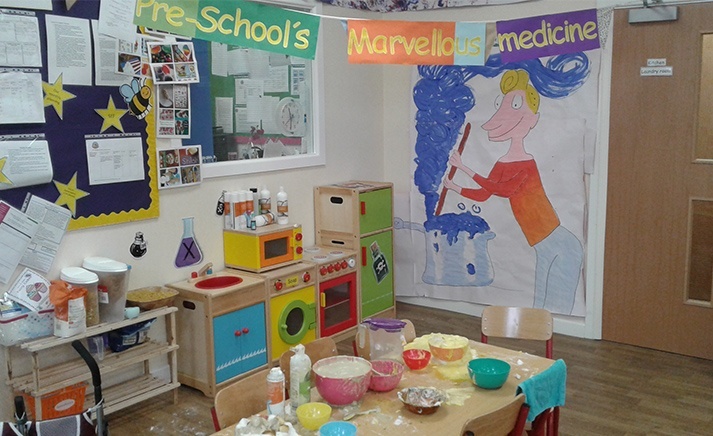 Pre-school in Whitchurch have been creating marvellous medicine after reading George's Marvellous Medicine! Today the children helped to set up their role play area following their interests of making medicines. The children gathered various materials and ingredients into the kitchen and created their own creations. They used shaving foam to represent vanilla flavouring, and they made the medicine smell nice by adding in pieces of fruit.